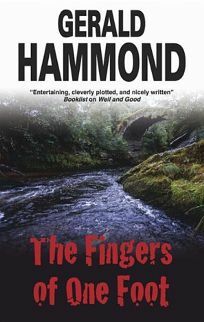 Cozies don&apos;t come much milder than this possible first in a new series from British veteran Hammond (Well and Good). Roland Fox, a writer with one book to his credit who&apos;s just moved to the quiet town of Newton Lauder near the Scottish Borders, meets an attractive vet, Jane Highsmith, after his dog is stung by a wasp. The next day, Jane enlists Roland&apos;s help in investigating the fatal fall from a secluded path of her beloved great-grandfather, photographer Luke Grant. Doubting the official verdict of accident, Jane and Roland soon find evidence that a device was rigged with fishing line to knock Grant to his death. Their burgeoning romance advances with their discoveries of further clues, aided by some heavy-handed plot devices that bring them closer together. The amiable leads will appeal to romance fans, but those who read crime fiction for a realistic portrayal of detection or for a clever final reveal will be disappointed.